365 Days of Writing – Day 45: I am home! I haven’t posted in a week or so because I’ve been busy getting moved into my new house! I am finally all in though and I’m just so overwhelmed with gratitude. I’m so grateful for my amazing realtor, Jennifer Dietz, who was there for me every stressful step of getting to close on this house. Jen went above and beyond, and because she is so good, I was able to not stress nearly as much as I would have been if I wasn’t 100% confident that my realtor was absolutely on the ball. 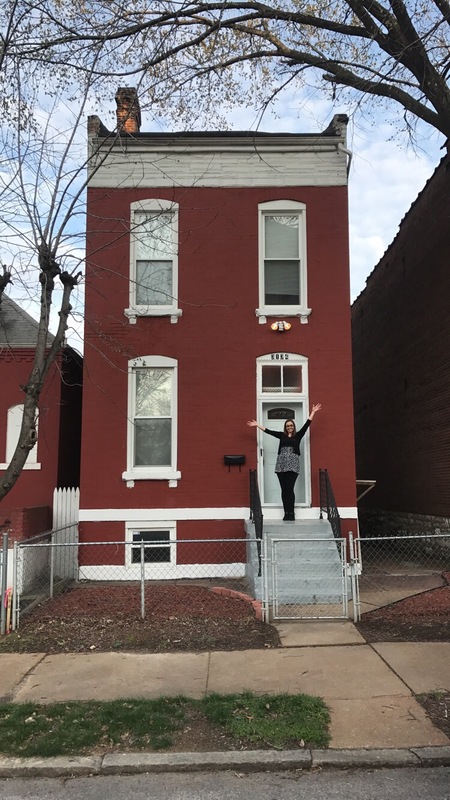 If you are looking to buy or sell in the St. Louis area, Jen D Realty is the place to go! I’m grateful for my friends, who showed up at my house the night I closed with some NA bubbly and all the pep I needed to pump me up after a stressful few days trying to close. I’m so grateful to my mom and my sister who came over on St. Patrick’s Day, which is also my moms birthday, and not only brought some great food, a table and chair set, but also buckets of cleaning supplies and some elbow grease to help me give the house a good scrub down. After I got all moved in, I was starving and I went to my fridge and almost cried because I just felt so lucky to have a mom and a sister so sweet to make sure I had plenty of food to eat for my first week. I’m grateful to my step mom for all of her love and support over the past few months, as well as her infinite wealth of knowledge and books for all my pressing questions on life. She also graciously gifted me with some sage to cleanse the new house of spirits and bad vibes! Last, but certainly not least, my dad. I am so incredibly grateful for everything this man has done for me throughout my life, but to know at 31 I can still ask my dad for anything and he will make it happen, is such a blessing. Had he not opened his door for me to come live at home (without paying a scent! ), I never would have been able to make my home buying dream come true. Without his guidance and dad wisdom while house shopping, I wouldn’t have been able to be so confident in the house that I found. Without his humor and problem solving I wouldn’t have been able to navigate my closing as well. My dad also parted with his large collection of tools, as he wanted me to have them at my house, because well, I’m gonna need them, lol. Not to mention he gifted me with a new washer and a de-humidifier for the house as well. Dad, you truly are the best dad I could have ever asked for, and I am so grateful to be your daughter. Without all of these people and their love and support over the past year of this journey I would not be at this place. I would not have my home. So to you all, and to all those that helped along the way… thank you. I can’t say enough, I love you all so much, and I am so so grateful to you.